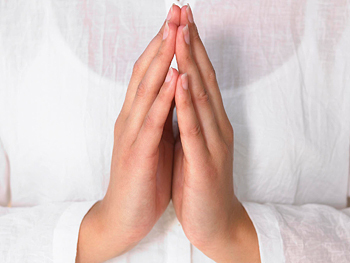 You’re either gonna like this idea – or you’re gonna hate it – but I’m opening up a new well in my practice…that of hearing people’s prayers, and magnifying them through Crystal layouts and supplication…to try to have them answered, one way or another. I will charge for this, but what you spend will be less than it will take (on my side) to cover the effort I put into it. You’re basically helping me to try to help you. That extra portion (of time and effort), which I volunteer for you, will be my contribution, or donation to your cause. Basically, I’ll be opening up a healing portal, for you and your wishes to be a part of…to partake of. You’re welcome to get on board – just contact me, read this blog – and visit my Services page for more information. A lot of times I see people post (on Facebook) – asking people to pray for their loved one – who’s in crisis. I found myself doing this when my kids were in a car accident. There was an outpouring of concern (and prayer)…for which I was grateful. I felt buoyed, supported…even loved. Nothing wrong with that! Independently, some other folks have contacted me, to pray for someone special in their life…themselves, a daughter, a parent. It’s strange, because I don’t know them. Why would they ask that of me? They know I’m in the ethers, dealing with metaphysical things on the regular. Naturally, they figure I’m capable of putting in a good word for them, as I’m in contact with Spirit kinda steady. Yet something was holding me back. First of all, getting into the supplication “business “- with or without money exchanged – is not something to be trifled with. If you are asking G8D to make a special dispensation – to bend the waters of fate, to favor one individual (or a group of us) – are you not taking good fortune from others? Is it selfish…a kind of “robbing from Peter to pay Paul”? Not necessarily…it oughtn’t be..
It’s only natural to want to better your situation, and it’s not like anyone wants to hurt someone else in the process. That would be what they call “black magic.” I do not go there, absolutely refuse to (and I’ve been asked for that, too). Most definitely not in my job description. Most of us believe in a fair and benevolent G8D – but also feel that misfortune can be blind, and is not intrinsically kind or just. Remember “when bad things happen to good people?” We see that happen every day (just watch the news). But suppose the Almighty – assuming you believe in there being one – was ultimately in charge. I know not all of you feel that way, and it’s unverifiable, particularly to the Atheist and Agnostic. But to the Believer, G8D is a force to contend with, to come to terms with, accept the actions of. Some feel, and surely the Bible demonstrates this – that G8D is jealous – He can be wrathful, even vengeful. I chose the word He, because the Abrahamic monotheistic traditions – Judaism, Christianity, and Islam – have traditionally been sexist, patriarchal, and non-embracing of the Feminine. Fortunately, newer understandings and experiences of religion have become more inclusive, and just as the Virgin Mary has long been representative of the loving, maternal Divine, people are increasingly ascribing or choosing to see in G8D a more generous, nurturing light. Is there enough to go around? Well, if Life is Love manifest, then yes – surely – life (and love) abounds! It’s all around us – booming population – and even wildlife (and insects) thrive in their bastions. Life is almost cheap, with how frivolous we have (most of us) become with it. Mistreating the environment, wars, competition, heedlessness to the plight of others…it’s not a flattering picture of humanity. Yet surely, acts of kindness do exist. Charity and good will are not dead. But when you ask me personally, to get involved, I have to take that request most seriously. First, there is the “getting next to G8D” – if I can be so presumptuous to assert that as even being possible for me! What does it take? Calming down my own inner storm; bringing Mind, Body, and Spirit together. I must raise my voice and open my ear to the Will of the Divine – whose intention may not be to grant clemency – we cannot know. Those who claim to know the Will of G8D are either lying, or fooling themselves. 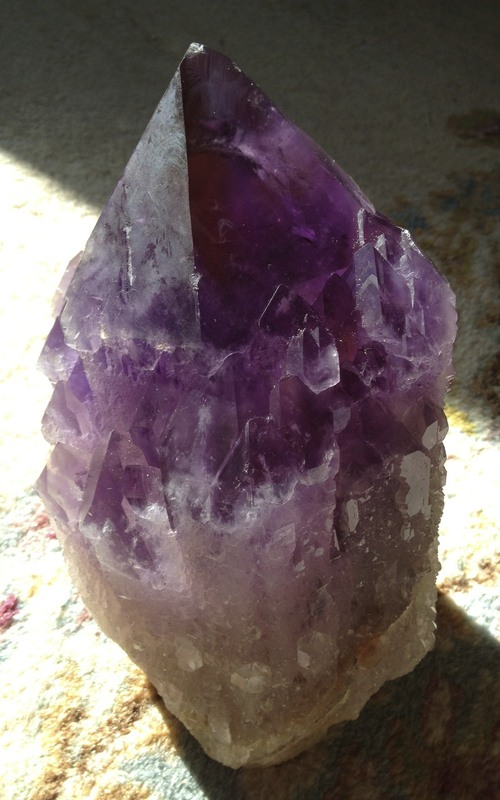 I recently joked, when describing the power of an enormous Amethyst cluster I have: “if that don’t cure you, you ain’t meant to be cured.” Reminds me of my “Can you Heal Me?” blog, which you may wish to check out, for reference. It’ll fill out some of these concepts – the most important one being that, basically – there are no guarantees that your prayers will be heard or answered. But truly: it is up to G8D to determine who gets helped. That is “giving unto Caesar what is Caesar’s.” We have to know our place – our own sacred role to play – and mine is expanding – I want to help! It’s true, I deal with Crystals on the daily, and sit in the presence of the Spirit as consistently as I can. I have 25 years doing it, some years more than others, but now more than ever. I’ve survived Cancer by personal (human, and yes, medical) effort. Good will, and of course, the grace of G8D helped too. I eat well, better than ever, and am more consistently thinking about how my life can be a vessel for the betterment of the world, given my specific talents and predilections. I lead Meditations, Classes, and Workshops – all of them focused on working with Spirit and Crystals – at the same time. 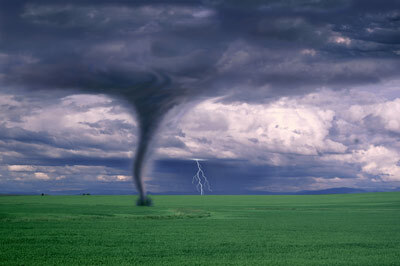 I have a healthy respect for the earth-crushing and creative power of Nature (and the Supernatural). I recognize the challenges posed by the offensive forces of Evil, Chaos, Decay, and the effects of both Greed and its less recognized aspect: the Benign Competition among people for Resources (in which wildlife and ‘the poor’ fare badly). Classism, Racism, religious intolerance…these all contribute to the uphill battle we face…even in trying to get well on a personal level. Any energy worker has to do battle with these essences, which will necessarily be taxing and dangerous. Working and weaving “in the light” sometimes seems to ignore this underside of reality. There is also the Pandora’s Box that can be unleashed when you meddle with G8D’s plan. At the same time, if we passively accept predestination (“que sera sera”), we abdicate our own power, and our extraordinary capacity to influence the situation. Choice is one of G8D’s greatest gifts to us. “Well behaved women never make history” Eleanor Roosevelt said. What would it have been like had Martin Luther King, Ghandi, and Mandela “held their corner,” and kept their mouths shut? So to speak up – to take action, make our requests from the Universe – is our right and our responsibility. This is “your mission, should you choose to accept it” (remember Mission Impossible?). Don’t be powerless – do what you can do – take any and all action within (and beyond) reach, to get your goals. That being said (that you have more internal resources than you give yourself credit for) – and with all the support available through the conventional world – why bother working with me to try to advance your cause? What can I, and Crystals do that the rest of our modern resources (and your own religious belief) not do? Well – if you’ve ever felt powerless, like you just don’t get it: “why me” – and if you’ve ever felt like all the king’s horses and all the king’s men can’t seem to put Humpty back together again…you’ll know it’s worth a try. I know what that’s like. I’ve been terminally ill. I’ve had dogged maladies that wouldn’t go away. The doctors had no idea what to do. And they didn’t (really) care. Other alternative modalities failed to satisfy, too. Even if things seem to being going well – you have it all “pretty much under control” – I find that it’s that much better when you take a pause and partake of this wonderful resource. 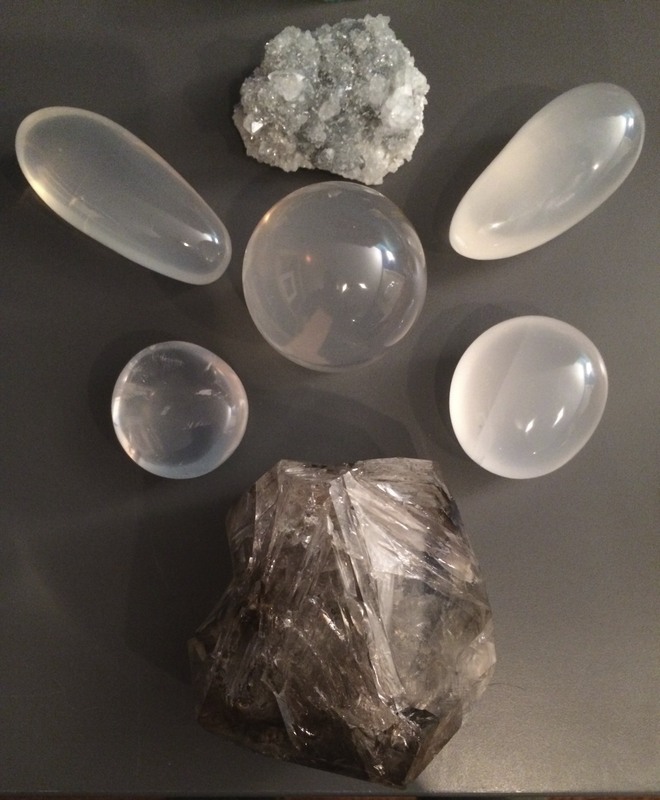 I truly believe that bringing Crystals into the picture – given my experience, the breadth of my understanding about the complexities of Reality (as hopefully demonstrated above), and the amazing energies of the Power Stones I bring to bear – can only help you, deepen your own awareness, and introduce new and powerful elements into your appreciation (and grasp!) of Life. Crystal Concentrics is all about full attention on YOU! In my consultations, your perception of Spirit (in your life) matters – what you feel, what you want – and rallying the forces of Metaphysical Healing to your service…each is taken into account. If you’re ready to explore this possibility and the opportunities is presents, please contact me at CrystalConcentrics@gmail.com. Once we talk – and review your situation – a specific action plan will be put into place – whether it be individual, in-person – or long distance sessions. And if it’s right, your supplication will be brought right into the Crystal Vortex of Healing Portal soon! Please Follow me through my Contact Links, to see more about how this, and my other efforts progress! 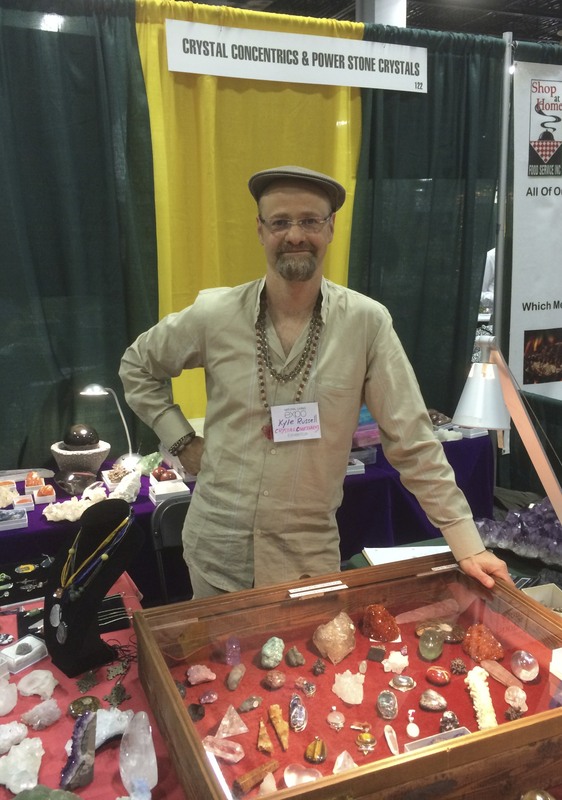 About the author: Kyle Russell has been working with Crystals for 25 years, and has founded Crystal Concentrics (the ‘modality arm’) and Power Stone Crystals (the ‘sales arm’) to bring Crystal knowledge, use, and appreciation to a broader audience. Working on several books, he also leads Workshops, Meditations, and does Individual Healing work. 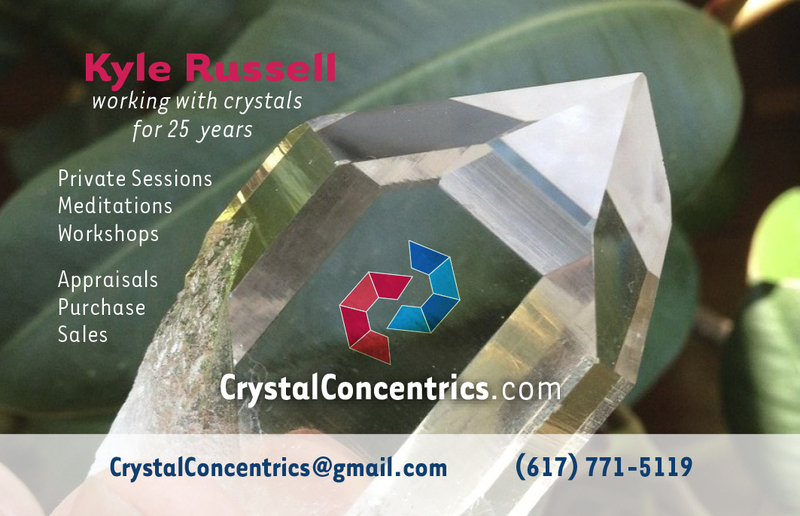 Please contact him at CrystalConcentrics@gmail.com for more information, and to follow up in finding out how Crystals can be a bigger part of your Life. 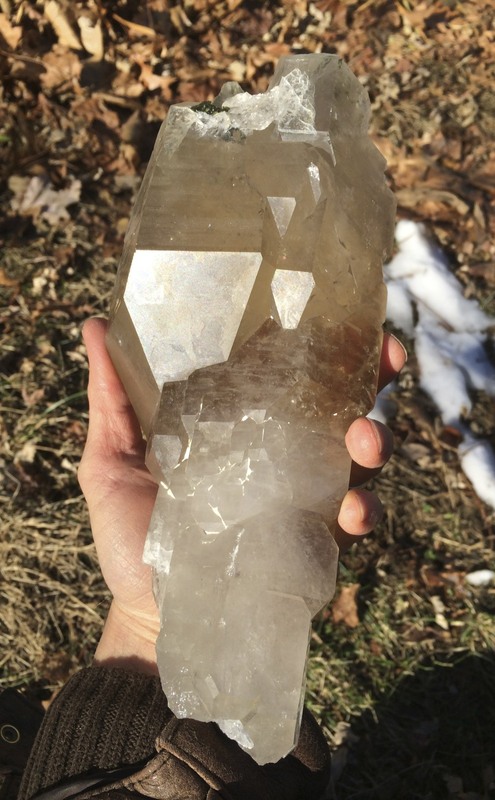 I was gonna name this Blog: “Are Crystals Godly?” and I know plenty of people I’m connected with (like on Facebook) who’d say “of course!” As mineral wonders of great beauty and energy (especially for those who go in for that sort of thing), how could you NOT think so?! 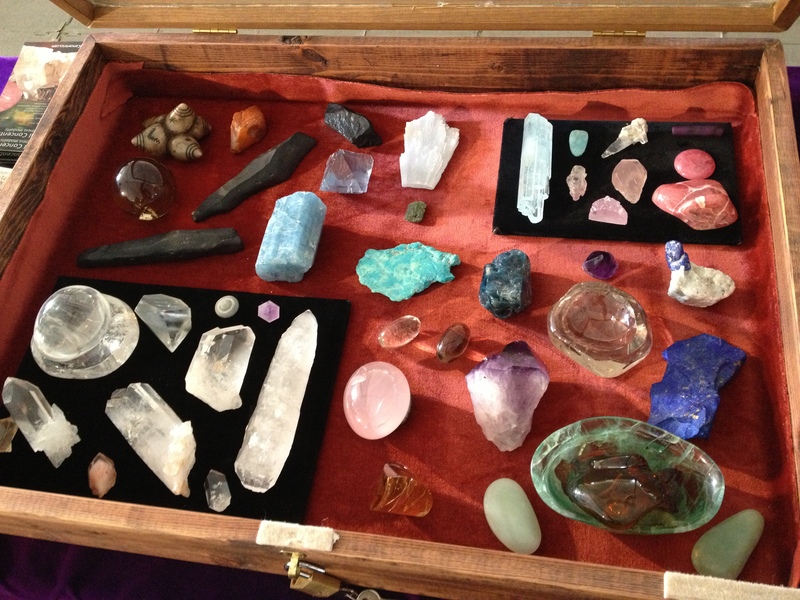 In fact, many of us would say crystals are hyper-Godly, being particularly representative of the divine. They were formed without human intervention. They represent the creative and magnificently structured capabilities of nature (ie. the order of the universe). And they will endure – forever – so long as there is an earth (unless they’re ferried off the planet during its final stages). It’s interesting to note that without interference (unlike with biological forms), crystals remain unchanged, without any particular need for maintenance or special care (unlike paintings). They do represent the Eternal, constancy, and equilibrium through change…what’s “on the other side” of our mutable experience…a bit like Nirvana. But I was inspired to write this blog more based on a comment that I got to my Facebook post of personal pieces I’ve displayed at the Expos recently (see picture here, to the right). One person says “Drool,” another says “Beautiful,” and still another says “Very nice collection.” My eyes stopped on reading the following: “Sad.healing is not in rocks.But only through the blood of Jesus” (verbatim). I let a few days pass, and then actually Replied: “I guess that means healing doesn’t come through human compassion, medical intervention, healthy living, or any other, of the other wonderful tools the Creator has made available to us…” which felt like a decent Reply – not based on feeling threatened – and fully acknowledging that all good things can fairly be said to originate from, and be gifts from G*d our use and appreciation. How can you deny someone whatever methods they’ve found to experience and share Love (or Life force)? I respect the right of every Religion to use whatever means they believe in, to get to Heaven…but tromping on others (or their beliefs) does not seem like a reasonable (or fair) part of that road map. 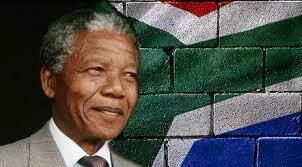 In an ideal world, we should live and let live. Metaphysically oriented New Agers do sometimes use methods of escape to inform their experience of day to day living. But to the last, I would argue, their first hope is to better off their own reality and by some process, to also improve others’. Paganism attracts people who feel we got it wrong – as a civilization – once we latched on to the monotheistic religions…and that earlier cultures had something worth preserving, not denying. Wicca has kept certain traditions alive, and there are innumerable other sects and devotions (not to mention the other major world religions: non-deistic Buddhism and polytheistic Hinduism) that explore Spirit without denigrating other beliefs – that acknowledge the natural as sacred (native religions, and animism) – and aren’t afraid to have the human coexist with the holy…or the profane frolic with the priestly. My point – in closing – is twofold. 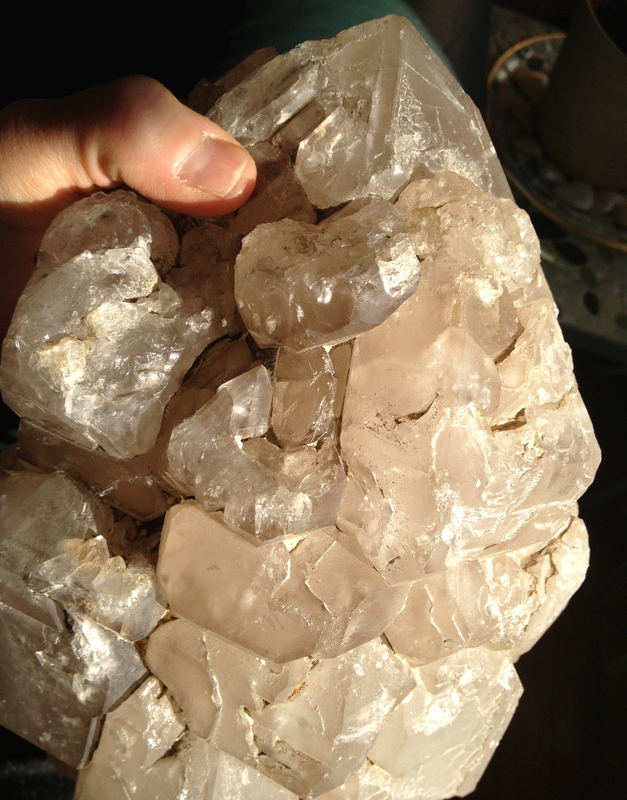 First, that crystals – and we who enjoy them – in no way put down the religious. There’s no reason the other way ’round should be happening. And I fully recognize that reason often has no part to play for “the righteous.” But in a world where there is inescapable (and glorious) diversity, peace and civility demand a certain measure of it. If applying the Golden Rule has any merit, then please do not do unto others as you would not have them to unto you. I, myself, am G*d-fearing (and loving!). I don’t see a conflict. 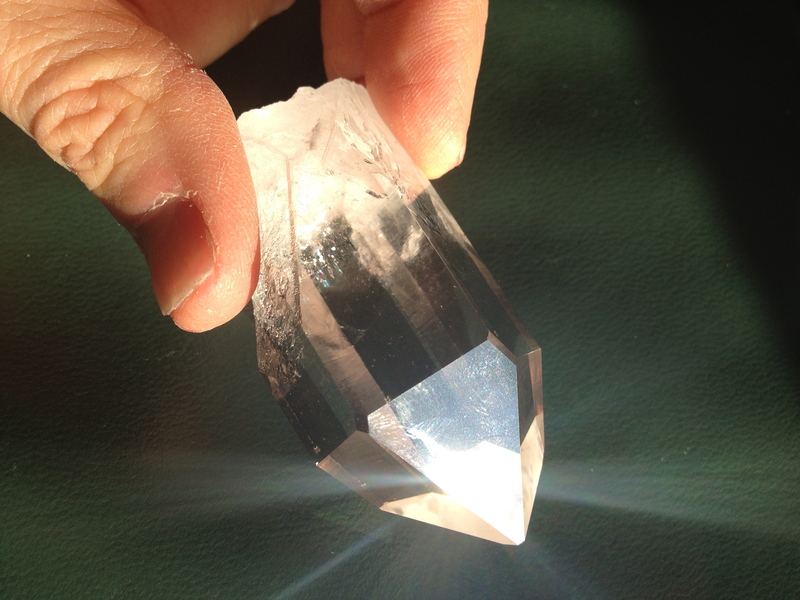 Crystals in no way threaten the greatness or majesty of The Father, Mother, or whatever named or nameless entity you want to ascribe dominion of our reality to. To the contrary, I think they demonstrate the ingenuity and wonder of the universe’s tremendously innovative, and creative power. 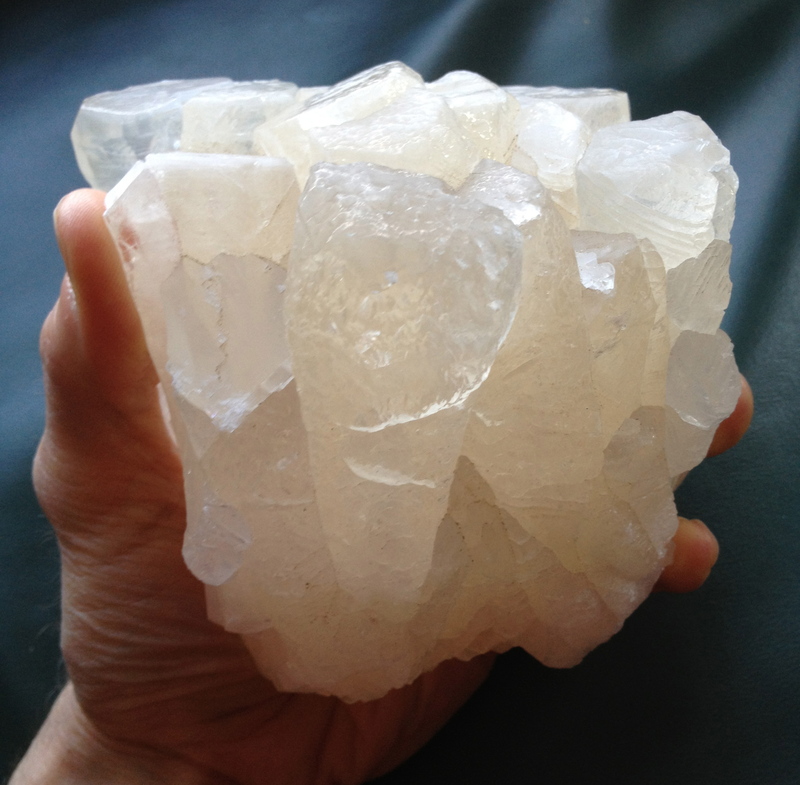 My beef with much of the prevailing crystal lore is a topic for other writings, but my take home (or share-with-you) message from all of the above, is put the power back into yourself, let there be accessible forces in our midst. Don’t give up your own capacity for mastery – and perception of how things work – entirely to one set of religious dogmas. 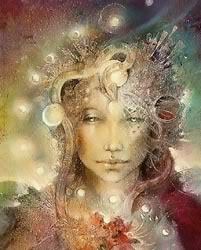 Empowerment is the key to personal and planetary healing. Indeed there is scriptural basis to believe that since the expulsion from Eden, the human journey G*d has set for us is one of Choice, and not slavish obedience to some destiny – more often set up by selfish earthlings – than by angels. We all need to lend a hand in getting G*d’s work done. Whether we are atheistic or not, we should be open to, and embracing, of all the tools given to us to manifest Spirit. I, for one, am “sold” on the utility of crystals in this mission. 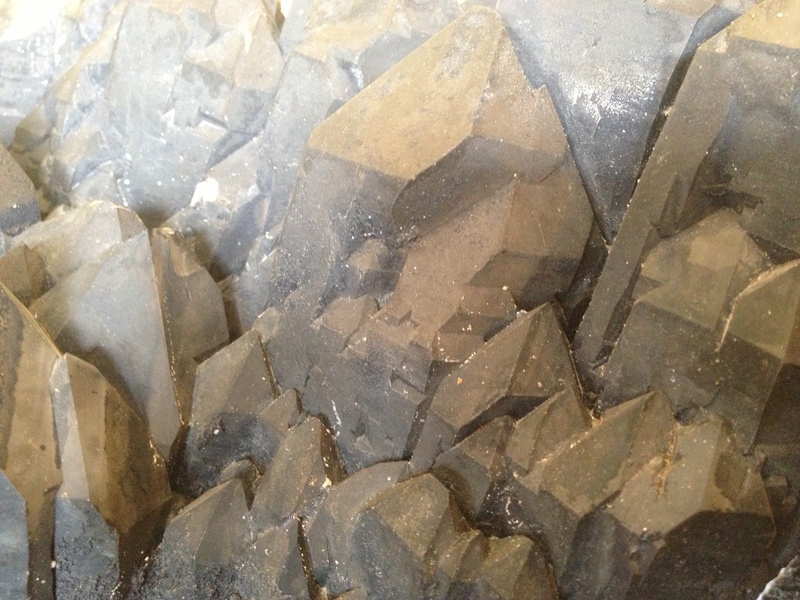 I was at a casual gathering the other night, when a relatively new acquaintance came up to me and said: “I heard you’re a ‘Crystal Healer’ – I have this condition – I’m wondering…” I had to waylay the conversation by saying that I don’t really discuss these things in public places, and that I’d get back to her in writing – which I’m doing now – sort of, and publicly. I realized (and one should know) that certain matters of Spirit cannot bear public address, unless you’re prepared – and plan to deliver a generalized message (like this). Otherwise, it’s best to step back or aside, and have the conversation when it makes more sense. Context is everything…you know how they say (it’s Biblical)…to everything there is a season. Rastas say “Nut’n done before its time.” One cannot expect a pie that takes 20 minutes to somehow be ready in 10. You get the point. What is my point, you might ask. Am I evading the issue (so early in my ‘treatise’)? Can I heal you? That was the question. The quick answer (if you force me to give you one) would have to be “no.” I’m not a miracle worker, like Jesus, who (allegedly) could heal by touch or decree. On the other hand, if we explore the potentialities of healing, then maybe “i” (the small me, humble nothing entity in the big universe) can heal you…but it wouldn’t really be me. If G*d is merciful, and all forces conspire to support our mission, then (potentially) “yes,” you could be healed by our interaction. You see – and this is where my Deistic Faith shows through – I don’t believe that we, with our Tower of Babel, can do it all ourselves. Absolutely, we should try, and succeed in every area we CAN (control). That is how we try to operate in G*d’s image, and we’ve done a masterful job (as a race) in our efforts to master the elements. Alas, or ‘thank G*d’ – ultimately – much larger forces are at work that we could never imagine, or control. Why does an elderly person, at death’s door, come back into full health (relatively speaking)? Why would a young adult be cut down in their prime? These are mysteries we cannot fathom. Even with the wind at our back, “someone” is blowing that wind. You don’t have to believe in The Almighty to feel the same way, because you know that even without credit being given to a or the Great Spirit, innumerable variables play into a given outcome. It’s impossible (try as we might) to control every result. That’s why they have you sign Disclaimers before going under the knife (before surgery). Even in the best of all hospitals, people die unexpectedly. Look at S.I.D.S. – they say “you could get hit by a bus tomorrow’ – hopefully not (but it’s not impossible). I’ve found this true in the music business. A lot of things happen by chance, like getting a big break, and a lot of things happen through hard work. You know how they say breakthroughs are 90% perspiration and 10% inspiration. The same is true in matters of the Spirit. There are things you can do to help shape the atmosphere for a breakthrough, but that doesn’t guarantee the breakthrough will happen. Hence, we have (or should have) Faith, and give final judgement over to whatever Force you want to believe in – The One (or OneS – if you’re into that sort of thing) – who arbitrates the final outcome. We don’t cross the finish line alone. We are together, in a partnership of healing. Our situation is linked to that of those around us, and even to those far from us (past, present, and future). There is a web of connection, which we’ve ‘recently’ discovered (created, given manifestation) virtually. It’s The Web, or Internet. What is that(?!) if not an intangible reality…and what makes it that much more ‘real’ than our own metaphysical capacity to heal (or heal others)? In conclusion (at this moment), I hope to’ve answered the question. Perhaps not to your satisfaction(? ), but truthfully. Matters of Spirit are much more complicated than people pretend them to be. the Big Apple: juicy (and sometimes rotten)…something for everyone! I’m sick, and I’m well (the Lessons and Gifts of Illness). How to Work with Crystals?